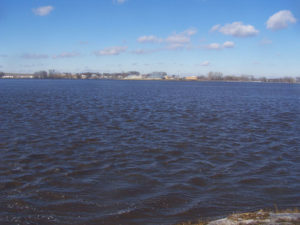 A flooded farm field near Le Mars. The wet conditions in the sate have caused issues with the handling of human and animal waste. DNR Environmental Specialist, Doyle McKeever, says they got an anonymous report last week of manure runoff reaching Storm Lake. “We went down and investigated and we found runoff running to the lake on the south side. And it appeared it was coming from a field application to the south of the lake that was flowing towards Storm Lake,” McKeever says. McKeever says Pike is going to stockpile the manure until the conditions are better for applying it to the land. Ice covering the lake prevented them from knowing if there were any dead fish. He says producers have had issues with finding the right time to apply manure without it getting into waterways. “It’s kind of been a whole cycle since last year. With wet, rainy conditions, it’s hard to get out there and land apply,” he says. McKeever says they are asking livestock producers to be aware of the conditions. “Look at the forecast and see what’s coming. If it’s going to rain or warm up quickly — obviously you are going to have runoff. You want to deter from land applying at that point,” McKeever says. McKeever says the rain has filled up some holding lagoons and the large amount of snow has added to the issue of trying to find dry ground to apply manure. “It creates a difficult situation for everybody,” McKeever says. The DNR also had to address high levels of water in two earthen manure storage basins located about 20 miles east of Council Bluffs. DNR staff observed diluted manure-laden water into two different unnamed streams from Cyclone Cattle owned by Russell Keast. The DNR required Keast to stop both discharges. The investigation is ongoing and no dead fish were found. McKeever says livestock producers should contact their local DNR field office if they have questions about manure spreading. The Iowa DNR reported earlier in the week that there were “several” wastewater discharges from city treatment plants. 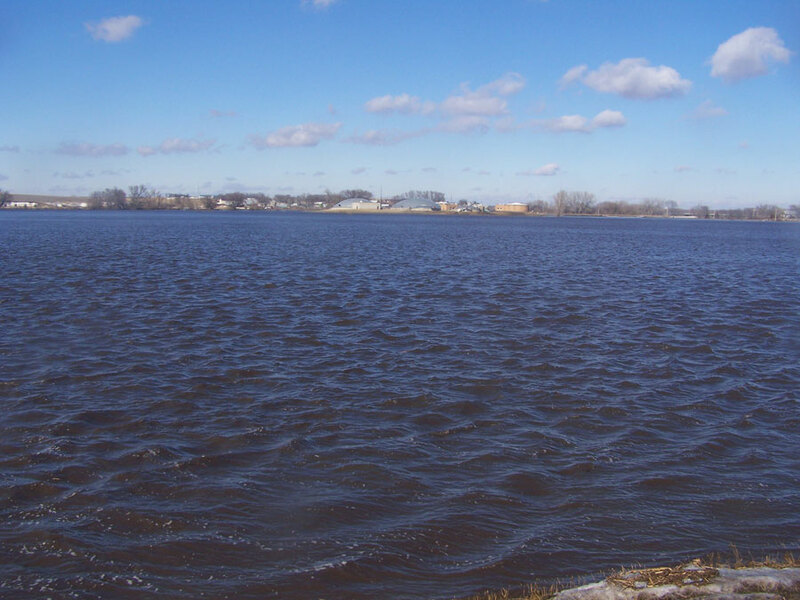 A spokesman in the Des Moines field office says rapid snow melt and rainfall overwhelmed city treatment plants causing several communities in northwest, western and southern Iowa to report wastewater discharges.